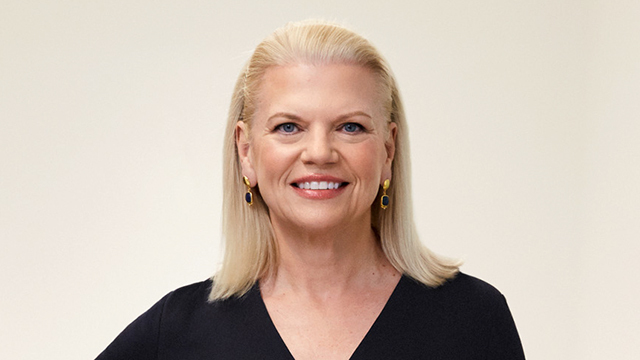 IBM’s commitment to diversity and inclusion also has advanced under Ginni’s leadership. This includes extending parental leave and making it easier for women to return to the workforce through a “returnships” program with hands-on work experience in emerging technologies. This pioneering work was recognized in 2018 by the prestigious Catalyst Award for advancing diversity and women’s initiatives. IBM is the only tech company to have earned this recognition in the past 20 years and the only company ever to be honored four times. IBM under Ginni’s leadership also has led the way on ensuring that society is prepared for this new era of data. This includes equipping workers for “new collar” job roles in emerging technology fields that do not always require a bachelor’s degree. The IBM-created Pathways in Technology (P-TECH) education model is a six-year program that prepares students for career success by combining high school with a community college degree, mentoring and internships — all within existing local education budgets. Today, there are more than 120 schools worldwide, bringing technology employment opportunities to more than 100,000 students.